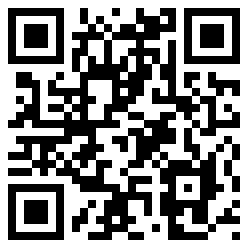 ABYSSJazz Magazine is an open forum where music lovers meet, greet, and talk jazz. Music speaks in the dialect of rhythms, tones, and harmonies. This language has no barriers. Through music we blend the words and/or melodies of our heart songs with compositions as we listen. We then become a part of the music. A conversation between the artist and the listener ensues as a result of this interaction. I believe that the ability to have this conversation is the primary reason we who are jazz, R&B, and Soul enthusiasts are loyal to these genres of music. AbyssJazz has a new-designed website. The Frank Newhall Look Memorial Park, commonly referred to as Look Park, is a park in Florence, Massachusetts in Hampshire Country. The park is open year round. Look Park, consisting of over one hundred & fifty acres, was gift to the City of Northampton from Mrs. Fannie Burr Look, wife of Frank Newhall Look. She provided the land, funds for its development and a trust fund for its upkeep. Additionally, operation and maintenance funds are dependent upon visitor fees, grants, and gifts. The park receives no funding from the city or state. The park was made open to the public in 1930. The Park is a city-owned park and is administered as a non-profit organization. The Pines Theater is an outdoor amphitheater located within the park. The stage is built out of Goshen stone, along with the entryway and sound towers. The theater holds the annual “Transperformance” concert, a music festival hosted by The Northampton Arts Council and the Parent Teacher Organizations of the Northampton Public Schools. 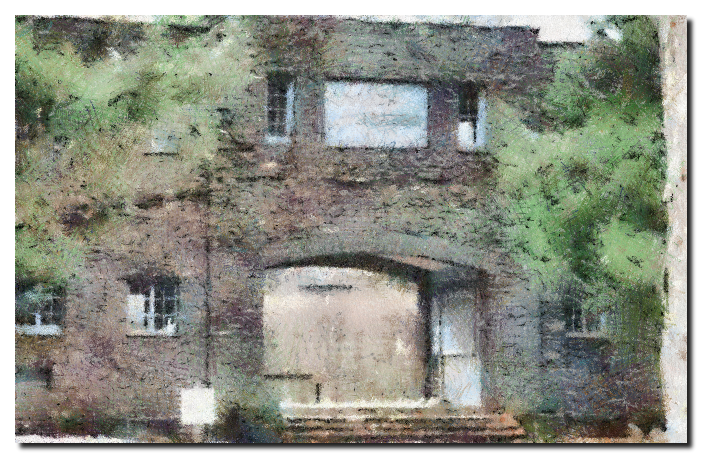 Famous artists to perform at the venue include Bob Dylan and Crosby, Stills and Nash. Smooth Jazz fans will attend the 2012 Cancer Crushing Jazz Fest featuring artists such as Chieli Minucci, Eric Leone, Jeff Golub Band, Jeff Lorber Fusion, Karen Briggs, Lao Tizer, Mindi Abair, Richard Elliott, Vincent Ingala. 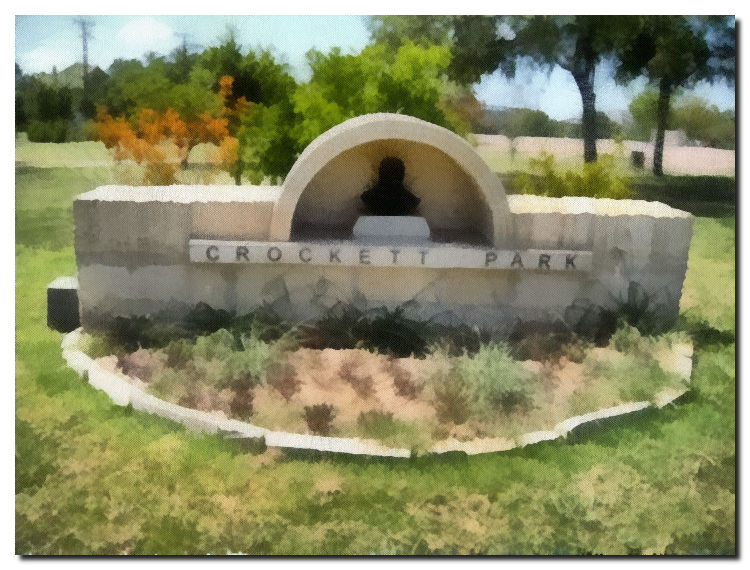 Crockett Park is bisected by Main Avenue and is often called either Crockett Square or the “Twin Parks.” It was established as a public square in 1875 after the city of San Antonio settled a lawsuit over ownership of the tract of land from which this park was developed. By 1877, street cars were taking people to the neighboring San Pedro Springs Park and this caused a real estate growth around Crockett Park. By 1883, City Council agreed to clear brush and mark the streets then running through the park. In 1911, sidewalks were constructed around the park’s perimeter, and in 1914, walkways were installed in both squares of the park. The formal plans for this renovation also called for walkways radiating from a central, circular sidewalk to the corners of the larger square. Later, in the 1980s, picnic tables, trees, and a playscape were added; and again, in 1994, new sidewalks, lighting and drinking fountains were part of a Bond issue that help to improve the park. It is in the central circular sidewalk design that the present Crockett Park gazebo now stands . The park has picnic tables and grills, children’s playground equipment, drinking fountains, and a gazebo. The gazebo is a gift to the people of San Antonio in the memory of Carla L. Trott. The address of Crockett Park is 1300 N. Main, San Antonio, TX 78212 and has been the site of the San Antonio Jazz Festival for many years since the Jazz Festival’s beginnings in 1993. The whole park is set up with music stages, speakers and booths to promote Jazz and to fund-raise support for various private charitable organizations in town. However, the parking is limited to street parking and there are no restrooms available at the park . Every other month Saxophone Journal brings you the kind of technical information and news you need to improve your playing. Each issue now contains a saxophone play-along or masterclass compact disc, as well as, regular columns on jazz improvisation, playing techniques, tips on doubling, career management, new publications, writing for saxophones, teaching techniques, saxophone repair, vintage saxophones revisited, the saxophone mouthpiece, reviews of new recordings, coming artist performances, new product announcements, classical repertoire, and more! 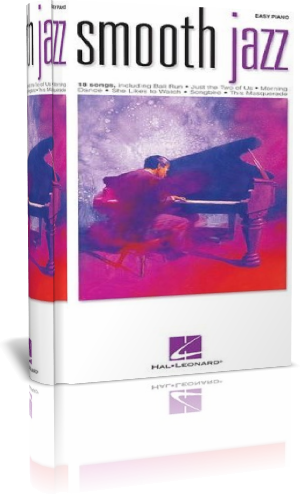 Add to this the feature front cover interviews with leading jazz, pop, and classical artists, transcribed jazz solos, sheet music, and you have a private lesson in every issue! 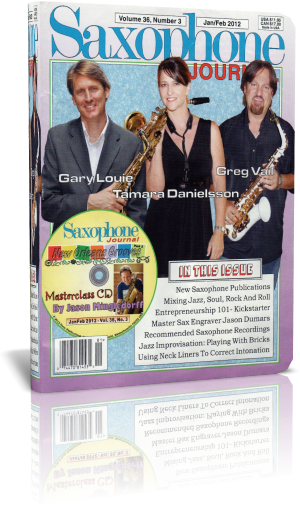 Saxophone Journal is the only magazine of its kind in the world. Regular contributing writers include such leading international performers, teachers, composers, historians, collectors, clinicians, educators, and instrument repair specialists as: Andrew Clark, Jay Easton, Thomas Erdmann, Gunnar Mossblad, Skip Spratt, Susan Fancher, David Demsey, David Gibson, Emilio Lyons, Steve Mauk, David Pope, Greg Banaszak, Billy Kerr, Frank Bongiorno, Paul Wagner, Greg Fishman, David Camwell, Steve Goodson, and frequent guest writers! 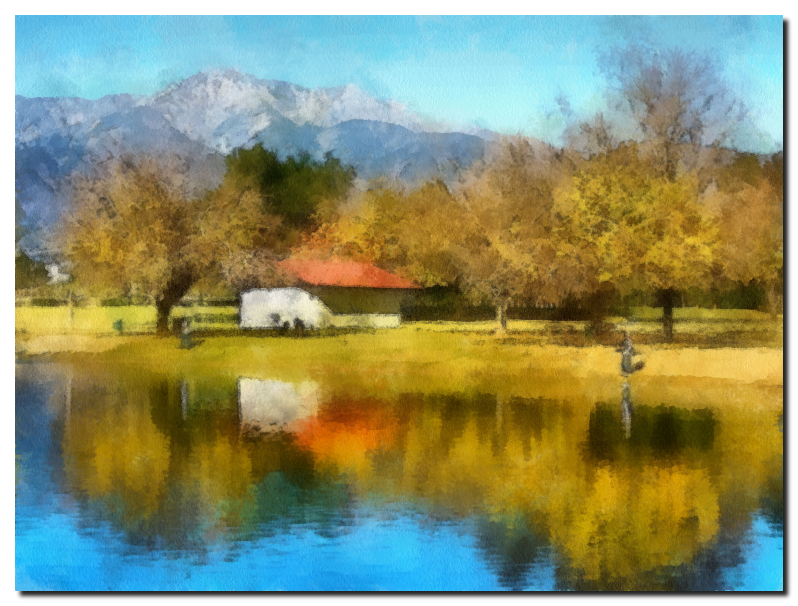 Located in Ontario, CA where business and culture meet, Cucamonga-Guasti Regional Park provides 150 acres of outdoor recreation activities in an urban setting. There is a park fee, which varies according to age or Holiday. Enjoy a wide range of activities including two lakes for fishing, a swim complex with water slides, zero depth water play park, picnic tables and group picnic shelters for corporate events, large parties and family reunions. Paul Taylor, Tim Bowman, Kevin Toney, Sugarfoots Ohio Players, and more! Easy arrangements of 18 terrific songs by such primary proponents of the smooth jazz genre as Fourplay, Chuck Mangione, Kenny G, Grover Washington, Jr., Spyro Gyra, David Sanborn, Al Jarreau, The Rippingtons, and others. Includes: Bali Run * Just the Two of Us * Morning Dance * She Likes to Watch * Songbird * This Masquerade * We’re in This Love Together * more. Get this book at Amazon.com. Estes Park is a town in Larimer County, Colorado, United States. A popular summer resort and the location of the headquarters for Rocky Mountain National Park, Estes Park lies along the Big Thompson River. 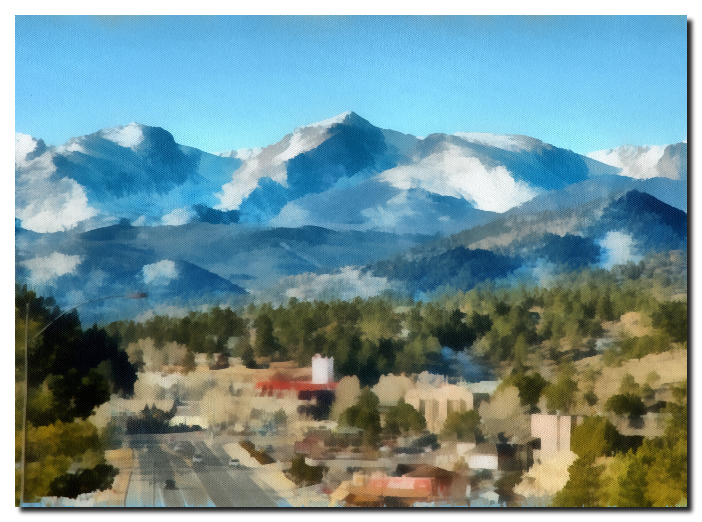 Estes Park had a population of 5,858 at the 2010 census. The town is named after Missouri native Joel Estes, who founded the community in 1859. Take in the beauty of Estes Park, the art in numerous galleries and listen to the sounds of jazz. Estes Park’s free 22nd annual Jazz Fest/Art Walk weekend kicks of the season in style Saturday and Sunday, May 19 and 20.